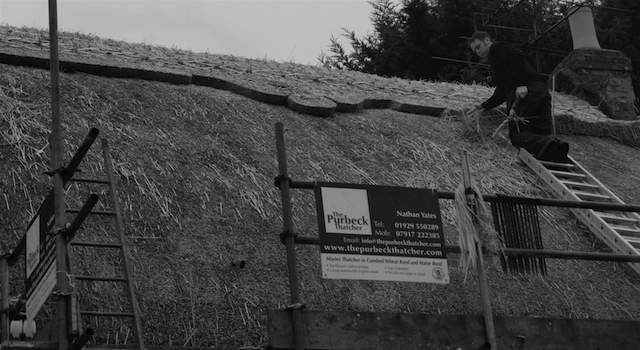 We are a team of Master Thatchers who have all served full 5 year apprenticeships. 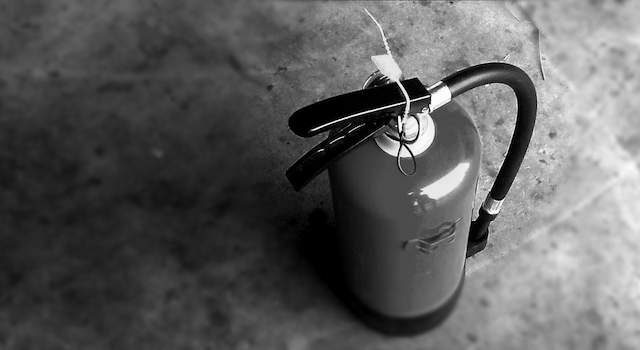 We pride ourselves on being custodians of our craft, and delivering the highest quality craftsmanship possible. 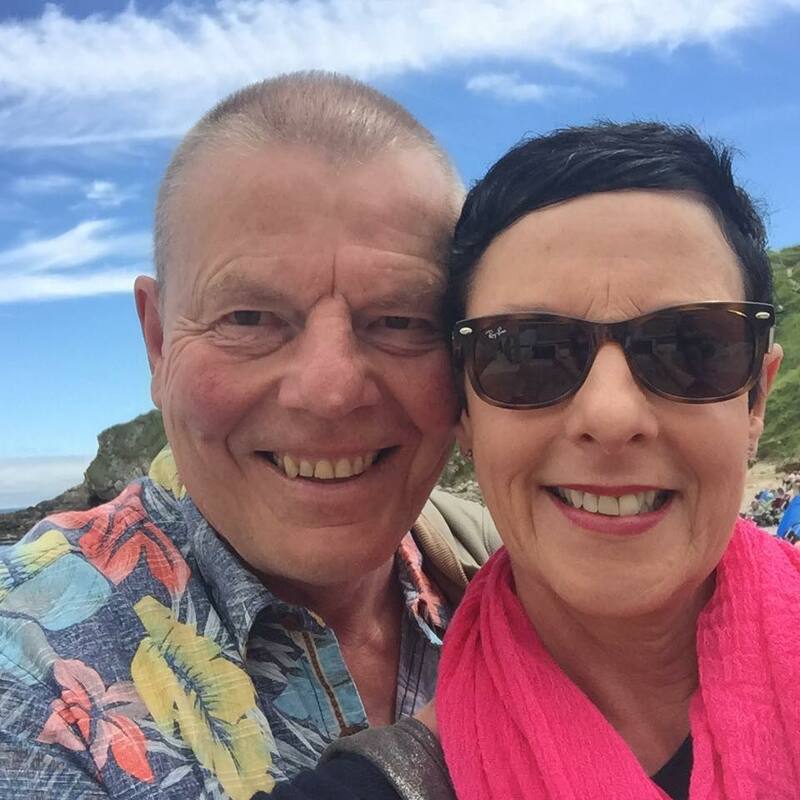 Between us we have been lucky enough to have thatched all over the British Isles on many unique and historic properties from a Croft in the Highlands of Scotland to a little fisherman’s cottage in Cornwall. 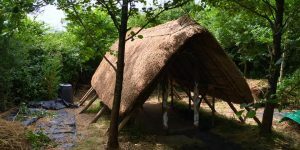 This has allowed us to gather many thatching skills which we can use to our advantage to create some of the highest quality thatched roofs in the British Isles. We personally choose all of our materials directly from the grower and supplier. This ensures the best quality material at all time. We also use the most local materials possible. 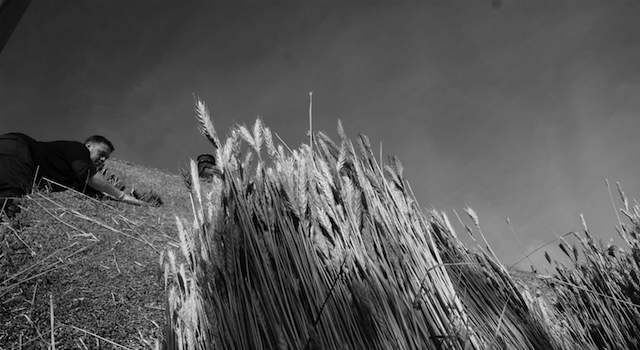 All our wheat reed is grown either in Dorset, Somerset or Devon and all of our spars are winter cut hazel spars grown and made in Puddletown Dorset by a highly skilled spar maker and woodsman. 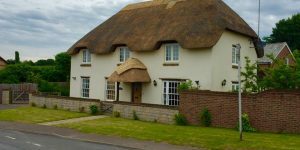 Many thanks to James, Nathan, Matt and the team for the superb job they did late last year in replacing our thatch, together with our adjoining neighbours. It was a very smooth, professional and slick operation. Although they endured some terrible weather conditions, the guys were always considerate, cheerful and upbeat. The roofs look stunning and will be a lasting testament to their skilled workmanship. We are particularly fond of our cat and mouse! We would highly recommend them. "The result is superb, your team were pleasant, always on time worked in all weathers and cleaned the site every day. We would give you the highest recommendation. If future clients want to phone us then please give them our number. " 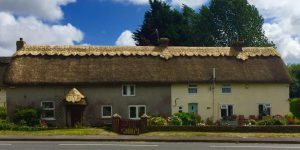 This is what we have been up to this week in Tolpuddle, new ridge, coat work sheared down. Fully re wired and re thatched porch too. 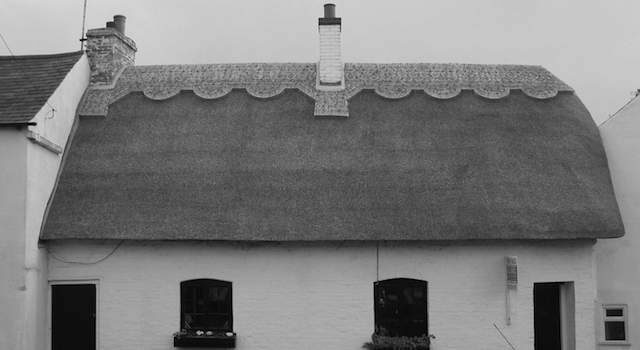 3 cottages ridged with a continuous block pattern and rear elevation thatched in Lytchett Minster. Please use the contact form or the contact details below to get in touch with any queries, to arrange a viewing of my completed work or for a quotation.